Director of Technical Delivery, father, and superhero. Tristan loves all things cloud, and especially admires Google. 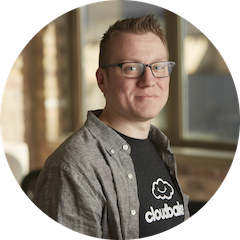 He works day in and day out to make sure our clients are getting the most quality service from Cloudbakers and are productive on G Suite. Are these top 10 cloud migration myths stopping you and your organization from moving to the cloud? Don't let them. Email inboxes too frequently fill up with useless junk. Google's Inbox app makes it easy to keep your email & inbox streamlined and clean. Locked out of your Google Apps account post-trial? We’ve got the answer to help you get back in! Google Drive, box, SkyDrive, and Dropbox. They all store files and they're all cloud-based. See who stands out among the pack and why they do. Learn how FlashPanel can help take you to the next level in your Google Admin Console. Simplify email delegation, manage and edit the shared contacts in your domain, and enhance your reporting -- all with one tool!